Mapped By What Surrounded Them: Jam of the Day: Lolo Zouaï - "High Highs to Low Lows"
Jam of the Day: Lolo Zouaï - "High Highs to Low Lows"
Franco-Algerian singer Lolo Zouaï, who now resides in Brooklyn, creates what she calls "bittersweet bangers." 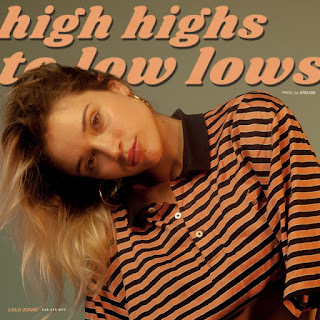 "High Highs to Low Lows" is a perfect example. It's a smooth pop/R&B track that details the instability and uncertainty of starting out in the music industry. If this song is any indication, her sound is definitely not uncertain, and she should be a breakout star.